It seems like the entire climbing word is buzzing about Margo Hayes’ amazing 5.15a (9a+) send of La Rambla in Catalunya, Spain and for good reason. Ladies and gentleman. Allow us to present Margo Hayes, the first woman to send 9a+/5.15a. @margojain please accept the largest of congratulations from the entire Petzl family. We've had our fingers crossed ever since you left for Spain, but seeing this photo and hearing the news… Wow… You deserve all the congratulations that the world will be sending your way. So, so, well done. Petzl team member Margo Hayes sent La Rambla, 5.15a/9a+ over the weekend. We will post additional details, but in the meantime send your congratulations to @margojain. Photo: @honngy another amazing climber and #PetzlTeam member, who deserves congratulations for also sending La Rambla, his second 9a+. Chapeau! My first reaction to this news was just awe. As a recreational climber who dreams of redpointing a 12a someday, I cannot even begin to imagine what a 15a looks like. But the raw emotion on Margo Hayes’ face in this photo is something most, if not all of us can relate to; pure joy and utter disbelief. Pure joy is also how I feel about being a part of a sport that has women absolutely killing it at the highest levels. Not just as female athletes, but as athletes… period. Interestingly enough there is already a bit of controversy about the caption “first woman to send 5.15a/9a+”. As there are accounts of both Ashima Shiraishi and Josune Bereziartu climbing this grade before Margo. And though I haven’t seen it yet, I am just waiting for the whole ‘female first ascent’ debate to get charged up again. But in this moment I’m not going to get lost in the drama that may demote or undermine this achievement, I am going ahead to call it exactly what it is: Historical. Historical may seem like a strong word for some. Becuase Margo may not have been the first woman to achieve the grade, nor the first person to send that particular route, many can and will dispute it’s importance. But 5.15 is a threshold few have obtained and a send of that magnitude at this point in the history of rock climbing is certainly notable and newsworthy. 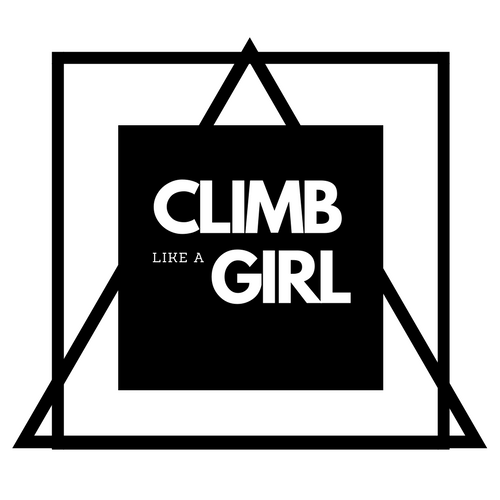 Until this becomes the norm for elite climbers (male or female), any woman to indisputably complete a climb of that difficulty is achieving something historical. To put this in perspective maybe 30 people in the history of climbing as a sport have completed a 5.15. It is an athletic feat significantly less common than someone running the 100 meter in below 10 seconds. Now when I say someone, in this case, I am referring to a man (women haven’t even broken 11-second mark since 1988). Other than climbing there are few examples of elite female athletes performing at or better than the level of their male counterparts. This is often is at the heart of nearly every argument supporting the disparity of sports coverage, attendance, and funding between men’s and women’s sports. So ya, Margo, Ashima, and Josune’s climbs are all a pretty big deal… and maybe should be for more than just climbers. While the debate of who gets the title of ‘first’ may never be settled, the fact remains; there is not one, not two, but three women capable of climbing 5.15/9a+ … and many others putting their best efforts in to join them. If 5.15 is sport climbing’s modern equivalent of the 10-second barrier, then ladies get ready; we are about to see more history be made. Note: I kept the number of climbers to complete 5.15s as a general, but conservative estimate. Doing my best to stay out of debates of who sent what and whether it should be down or upgraded. Next ›Climb Time in Europe!